I'm thinking about purchasing TO3000. I work out of 3 different computers. If I buy the software, am I able to install the program on more than one computer? Yes, you will be able to install the program on more than one computer. The License agreement allows usage of the program on multiple PCs by a single person, and you will be able to do this without requesting additional licenses from us, as license keys are not tied to any physical PC. Please note that by default, Translation Office 3000 does not have network capabilities, i.e. 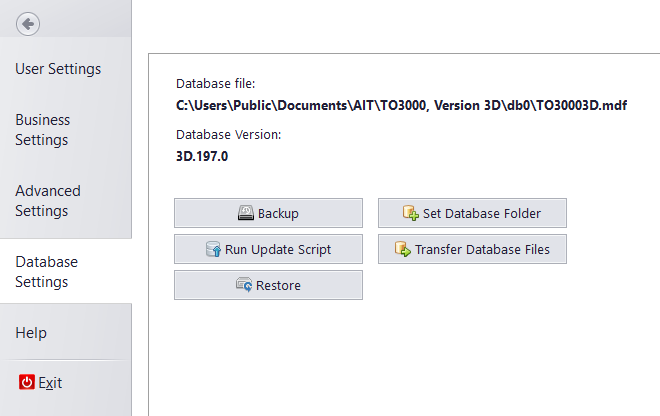 if you install multiple copies of TO3000, they will not share the same database. For network capabilities, please check out our other product, Projetex. Otherwise, you will be able to transfer the data between TO3000 installations using the Backup/Restore pair of commands, or by using the "Transfer Database Files" and "Set Database folder" functions to move the database into a cloud service folder.